The Korean fascination with K-pop celebrities and the ‘scandals’ that are seemingly inherent within the industry continually appear in a variety of cinematic forms. Comedy 200 Pounds Beauty explored the concept of beauty and image, while horror White: The Melody of the Curse focused on the rivalry between the members and the plagiarism that frequently occurs. 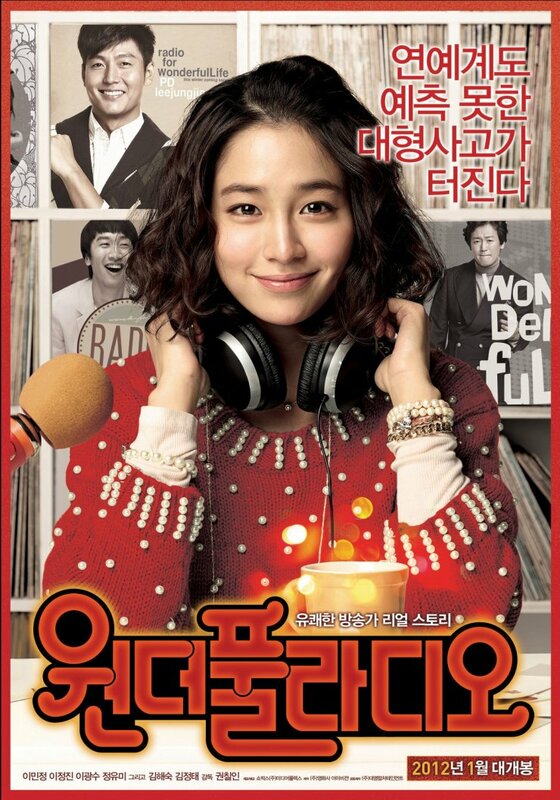 Interestingly, with romantic-comedy Wonderful Radio (원더풀 라디오), maturity and life following celebrity status are examined. Wonderful Radio joins You’re My Pet as the other big star-driven romantic comedy of 2011; and, as with You’re My Pet, offers little more than a vacuous narrative of two attractive yet contrasting people forging an improbable relationship. Save for an interesting but all-too-brief interrogation of the pretense inherent in K-pop, Wonderful Radio is a mildly entertaining yet instantly forgettable experience. Jin-ah (Lee Min-jeong (이민정) is the radio DJ for the ailing ‘Wonderful Radio’ segment, a show that is hemorrhaging listeners chiefly through her selfish and rude behavior. Jin-ah desperately longs for her past career as a K-pop icon in girl group ‘Purple’, yet her attempts to rejoin the music industry are continually thwarted as younger stars rise in popularity. In a bid to finally axe the show and Jin-ah’s career, manager In-seok (Kim Jeong-tae (김정태) promotes the notoriously difficult producer Lee Jae-hyeok (Lee Jeong-jin (이정진) to helm the show. Yet against the odds, and despite their constant bickering, Jin-ah and Jae-hyeok may have found a way to save ‘Wonderful Radio’ as well as the start of a blossoming romance. The above comparison between Wonderful Radio and You’re My Pet may seem unfair, yet both films are intended as rather commercially driven efforts to promote the central performers through crowd pleasing romantic tales. Unfortunately for Wonderful Radio, Lee Min-jeong – though a fast rising star – and Lee Jeong-jin do not have the same star power or acting credentials as Kim Ha-neul and Jang Geun-seok, and as such the contrived narrative conveys an even more manufactured sensibility. As is often noted in any basic film studies and screen-writing course, the opening five-to-ten minutes of any film are crucial in attracting and captivating audience attention; if successful, audiences can forge empathic bonds with the protagonists, with the intensity of the faux-relationship mesmerizing viewers into following the narrative through to its conclusion. Wonderful Radio does not adhere to such a train of thought. 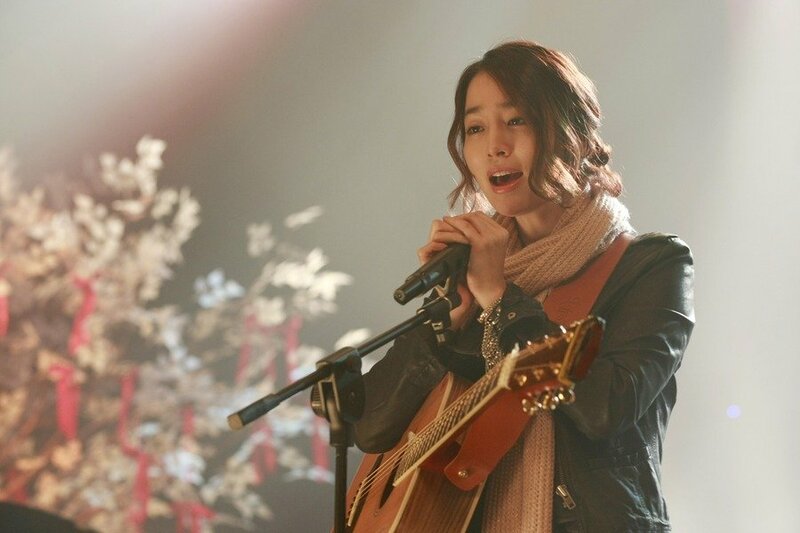 The opening act, while admittedly setting up the premise of Jin-ah and her declining show, is utterly directionless with the only driving force being Jin-ah’s intolerable behavior. While she is intended to be something of a ‘princess’ stereotype, full of arrogance and pride, Jin-ah is actually closer to being psychotic as exemplified by her recurring temper tantrums and childish fits. Such scenes may very well be for the sake of comedic entertainment, but when the protagonist becomes quiet and reflective scant moments later it is clear that characterization and narrative structure were something of an afterthought. Luckily Wonderful Radio finds direction thanks to the timely intervention of a taxi driver – the ever-dependable Jeong Man-sik (정만식) – who adds much needed heart and emotion to the proceedings. With a core theme attached director Kwon Chil-in (권칠인) manages to explore, albeit briefly, the superficial facade of being a K-pop star and promotes ‘authentic’ music, including playing an instrument and removing cheorography, as superior due to the emotional content. While the intriguing topic has incredible potential, it is rapidly jettisoned in favor of returning to the unconvincing love developing between the mismatched lead actors. With such a vapid narrative, the director wisely – or cynically – focuses vast attention on Lee Min-jeong’s undeniable beauty. Indeed, seemingly every few minutes the actress’ face is framed in close up with extreme soft focus, often appearing fragile and on the verge of tears. Lee Min-jeong’s charisma during such moments is palpable and distracting enough to forget the incredible shortcomings of the narrative for an instant, yet disapates almost immediately once her presence is absent. However it is mostly her image that causes such affliction as Lee Min-jeong’s performance is, for the first and second act at least, below par due to the odd behaviorial schizophrenia of her protagonist. The actress is much more comfortable in the final act when her character has calmed, and adequately portrays the character. The rest of the cast are mostly in supporting roles, with even love interest Lee Jeong-jin as Jae-hyeok something of a secondary character who is woefully underdeveloped and under-represented. The supporting cast enter the narrative seeingly to add people to the scenes and offer very little aside from the occassional moment of comedy. Actor Lee Kwang Soo fares best in this regard as downtrodden Dae-geun, displaying his comedic sensibilities well despite the predicability. 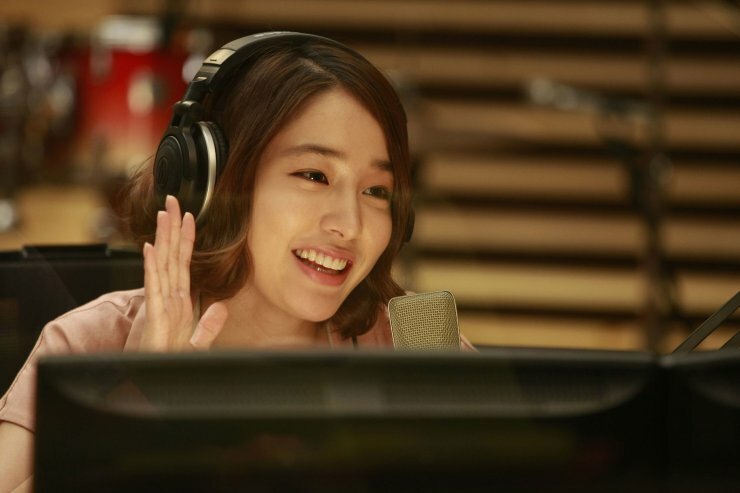 Wonderful Radio is very much a comercially-driven star vehicle for Lee Min-jeong, which would certainly be no bad thing were it not for the directionless, bland and predictable narrative, and the incredibly underdeveloped characterisation. The film does attempt to correct the issues with the introduction of emotional content and an interesting perspective on the world of K-pop, yet these measures are brought in far too late and appear all too briefly to make an impact. As such, Wonderful Radio is a lacklustre romantic-comedy that is instantly forgettable.